1) To experiment with interesting game designs I wouldn't normally pursue. 2) To connect with new talented individuals. I figured that worst case, it'd only be a month, and best case, I'd have an interesting game and know new people I could work with and trust. In this sense, "I Can't Escape" turned out to be a best case scenario! When I designed I Can't Escape, I wanted something very simple at its core - something that could be feasibly finished in a single week! Even though the challenge gave me a whole month, it's always better to underdesign than overdesign - more can always be added, but game development almost always takes longer than you expect. Even a simple "one week" game idea might end up needing the whole month! I also chose a genre I had never explored before - I Can't Escape is my first horror and atmospheric game. It was interesting to see what I could come up with in this new territory. 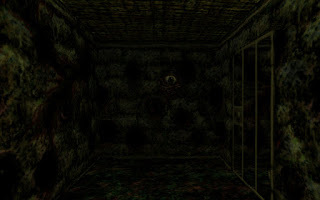 At its core, I Can't Escape is exactly what it seems: you explore a creepy underground maze, stumbling around pretty much randomly without a map, and fall down pits until you reach the end. I wont say exactly what you can find in the levels, but there is no battle system, no shooting of zombies, just simple exploration with a simple goal - to escape. In order to escape, all you need to do is climb a ladder on the first level. The "horror" part is more subtle than most horror games I've played. Instead of enemies jumping out at you, there's an overwhelming sense of being watched and followed (there are literally eyes in the walls watching you - this is one of the most common events you can stumble upon). This builds the anticipation of something just around the corner, but that tension is never dispersed by having that something actually jump out at you. 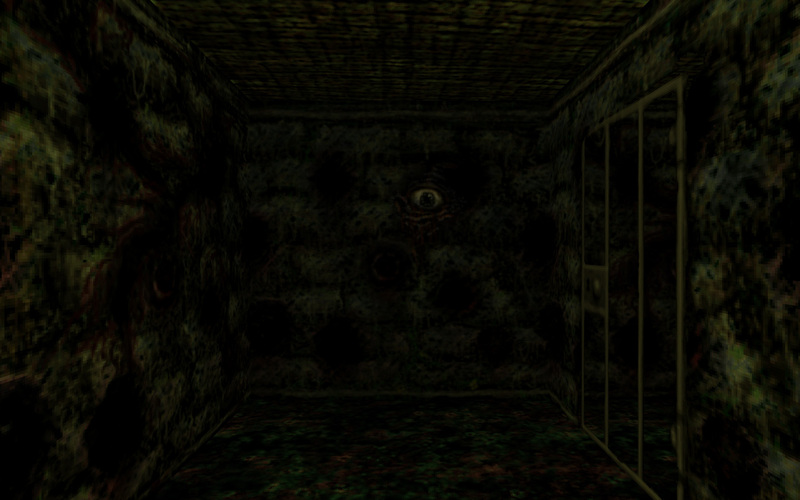 Aforementioned eye staring at you deep in the dungeon. The game is designed to make you feel lost and trapped. 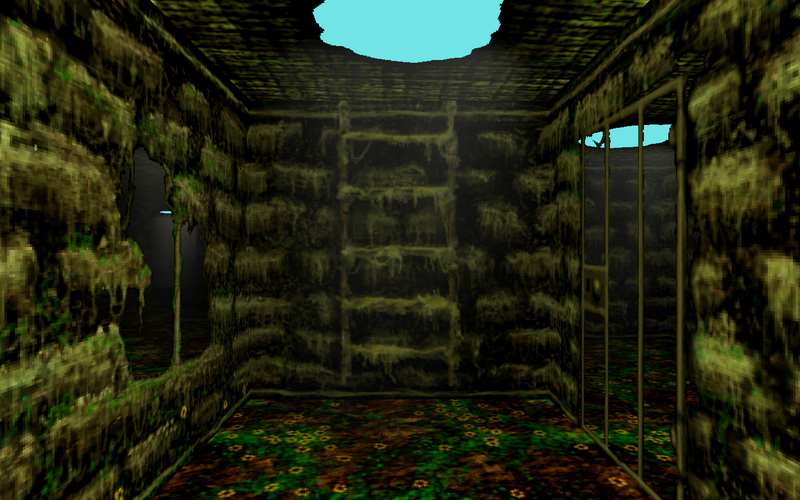 The levels are incredibly large and maze-like with no map to guide you. It wont take long before you have absolutely no clue where you are. The game is also designed to make you fall deeper - you're "supposed" to go up, but instead somehow you always end up going down into darker and scarier levels. 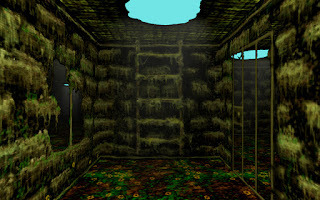 With subtle effects like the movement speed slowly increasing, the anxiety rises as you realize that it's very unlikely you will even reach the first floor again, let alone escape. 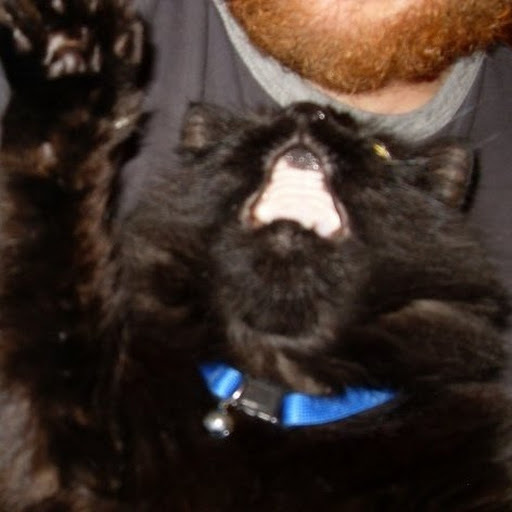 Eventually, you reach a level where you are trapped behind locked doors, and you literally can't escape. The light then slowly fades out, and the single word "END" appears. The game taunts you with the possibility of escape, it even starts with you landing right in front of a ladder, with only a locked door keeping you from freedom. Along the way, you will find keys that unlock doors, and sometimes even find ladders you can climb, bringing you closer to the top. But, despite your best efforts, you still eventually fall down deeper and deeper. Sound like a metaphor for real life? Hopefully not! I won't answer whether it is possible to escape or not, as there are several rare events you can stumble upon in the game, but don't expect escaping to be easy! A ladder on the first floor with no pit blocking it? Is it real? Did the developer just create this image as a joke?? This was an experiment for me, so I've released it for free on Newgrounds: http://www.newgrounds.com/portal/view/610205 , and I encourage everyone to try it! I also released the source code here: https://github.com/davidmaletz/CantEscape . The code is not particularly clean (lots of hacks happen with short deadlines), but if you can read it, perhaps you can answer some of the questions I've kept quiet on, and maybe even add an easy way to escape! It's too early to say how people will receive the game, and I've certainly had comments from people who didn't get it, but I've had far more comments from people who it "scared the pants right off," and that is very encouraging for me as a developer. I really enjoyed the experience of working with Chase Bethea and Josh Goskey (this was the first time I worked with them on a project, but not the last), and I really appreciate the effort they put into the game (and of course, my lovely wife Natalie helped too)! For a one month project, I'm very impressed and proud of the work we did! I've already moved on to my February game, so I doubt I will go back and make many changes to this game, but feel free to leave comments and let me know what you think about I Can't Escape!